Zagreb is promising to be the top destination for region’s online retailers on April 25. 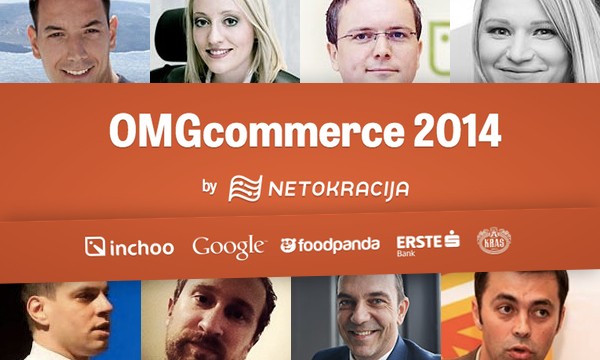 Once again, he’s the host town for one of the biggest e-commerce conference in the region – OMGcommerce. Among important regional names in online shop’s world, our CEO Tomislav Bilic is holding a presentation with one of the most famous names on OMG this year, Joann Johnstone – Operational Director for Zee & Co, multichannel, ladies and menswear designer fashion retailer based in the UK. Presentation already caught the eye of many! It’s about overcoming e-commerce challenges and obstacles from clients’ and their developing partners’ point of view. Client, Zee & Co, is independent fashion retailer for Hugo Boss, Dior, Vivienne Westwood, Ralph Lauren, Armani Jeans and many more, for 30 years! Twenty-three in just traditional brick and mortar stores, and last seven on their e-commerce platform too. What are the challenges in e-commerce? How to maximize power of e-commerce tools? How the retail industry revolutionized the way we shop? What are the advantages of e-commerce and how to use it in your business? How to explore what your customers want and need? What are social media to retailers and how it fits to marketing strategy? What are the specifics and technical challenges of developing an online fashion store? How to get the best out of Magento in this specific industry? Answers to these and many more questions will be in joined Zee & Co and Inchoo presentation and also in one that Magento‘s representatives are holding with Mondo that will present Mondo’s case study, Magento’s platform abilities and tactics that can double your revenue. Improve your online business, meet us! If you want to see how any of us – Inchoo, Magento or Zee & Co can help with advices or cooperation to skyrocket your online business, feel free to contact us and schedule a meeting while we’re on the conference.